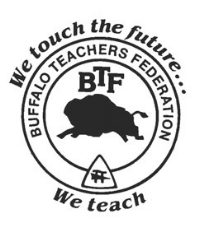 We are pleased to inform you that in response to your request, the Council of Delegates of the Buffalo Teachers Federation has voted to recommend that our members support your candidacy in the upcoming Primary Election for NYS Assembly in the 142nd District. We will be writing to remind them of the election and encouraging them to vote for you. We will also ask them to encourage their families and friends to do so. If there is any other assistance that we can provide, please let us know.